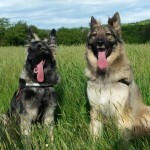 This website is about a unique Shepherd dog. When you are looking for more information about the Shiloh Shepherd dog, which is very similar to the German Shepherd, stop searching the internet. 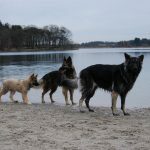 On this website you can read everything you have always wanted to know about the origin, the characteristics and the development of the Shiloh Shepherd dog in The Netherlands. 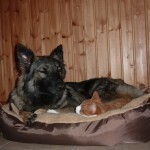 I am very happy to share my enthusiasm for the Shiloh Shepherd dog with you and that is why I have dedicated a part of my website to my own dogs. Meet Masjoe, Tika, Lykai and Ylva. Ready to make a Shiloh Shepherd part of your family? Definately do not skip the puppy page. You will find important information in relation to the purchase of a Shiloh Shepherd puppy. 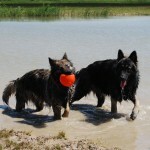 Moreover, you can read about previous en future puppy litter adventures. Last but not least, I can imagine that you still might have 1000 questions about the Shiloh Shepherd dog. 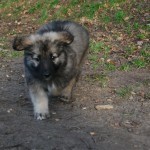 Please do not hesitate to contact me, I am more than happy to tell you more about this forceful, adorable Shepherd dog.